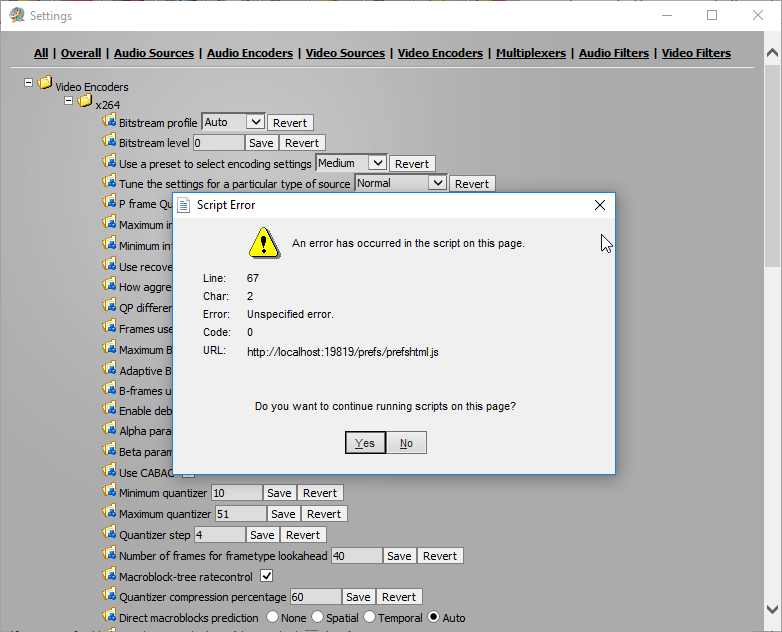 Keep getting a script error when trying to use the settings menu. http://i.imgur.com/kXfXgIO.png clicking Yes/No or X does not fix it. Using Mediacoder x64 v0.8.49 build 5890 on windows 10 x64.